There are many types of mechanical anti-theft devices for 2 wheels: U-locks, blocca disco etc., but none offer the same security and flexibility as a good padlock and chain. Let’s see why. However, if the bike is tied to a fixed point it forces any potential thief to try to break the anti-theft device on the spot, which requires more skill, more time and, above all, involves the risk of being caught. There is not just the theft of entire bikes, but also of their parts. 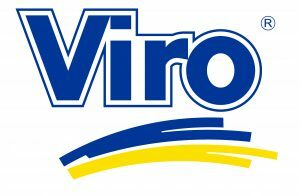 The problem mainly concerns bicycles, since the best quality ones have parts, such as the wheels and saddles, which can be very expensive and are often only fixed by a quick release system which can be opened easily by hand. In the case of motorcycles, the theft of a wheel or a seat is less frequent. On the other hand, all motorcyclists struggle with the problem of where to tie the crash helmet when they are not riding. 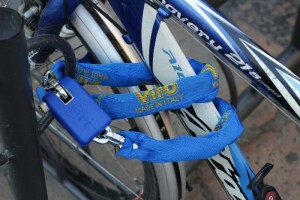 In all these cases, a padlock and chain of suitable length allows the bike to be tied to a fixed point and at the same time the various parts and, if necessary, accessories such as helmets and bags, can be secured together. 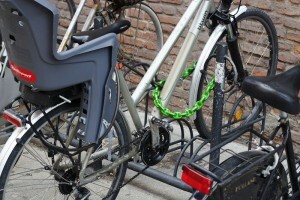 A padlock and chain allows the various parts of a bike, such as the wheel and frame, to be locked together, as well as accessories like helmets and bags. A good padlock and a good chain are among the most resistant solutions, both to brute force attacks, using levers, shears, hammers and other burglary tools, and to lock-picking and the like. Unfortunately, one can never achieve perfection and, despite so many advantages, padlocks and chains also have some drawbacks. Firstly, since the strength of a chain is derived from, amongst other factors, the cross section of the links, the most resistant chains are also the most bulky and heavy. Padlocks and chains are therefore more bulky and heavier than other mechanical anti-theft devices, such as U-locks or disc locks. Their dimensions and their weight, combined with the need to lock the bike to a fixed point and perhaps tie together various parts, also makes padlocks and chains slower and less practical to use compared with more agile solutions, such as a simple disc lock. Padlocks and chains can be slightly more inconvenient to carry and to use compared with other types of mechanical anti-theft devices, but the difference they offer in terms of security is remarkable. For this reason, they are the solution of choice when you want maximum security for your bicycle or motorcycle.